It's not super surprising, since I'm pretty open about the fact that I blog as a business and that I credit Elite Blog Academy for giving me the step by step path to growing my blog into a business that makes me over $9,000/month. I’m trying to get to as many emails as possible about Elite Blog Academy (affectionately called EBA by it's students), but I’m getting lots of the same questions over and over so I thought I would address them all here and save myself some time (effective use of time is totally one of my secrets for quick growth). If you aren't looking to get questions answered and you just want to get the class, you can reserve your spot here. It opened up to the public this morning. Make sure you reserve your spot quickly if you know you want it! It's insane every year, and there's a good chance you'll miss it if you don't get the email. For everyone else… Let's hit the highlights of what Elite Blog Academy is and why you should care. Elite Blog Academy is the complete blogging class that I took 18 months ago that brought be from earning $18/month to over $9,000/month on a brand new blog. It launched me into full time blogging and was the best investment I’ve ever made. I get to work from home 20 hours a week now, spend more time with my family, get to see my kids and really be there for them, and get to out earn my husband doing something that never feels like work. EBA only opens once a year for a few days. You need to have almost perfect timing to be able to get into this class. Let’s tackle your questions now… (I'll warn you, I geek out over EBA so this is lengthy. Feel free to skip to the questions that apply to you). YES! One of the things that set me apart is that I invested 100% of my profits back into my blog until I was making $1,000/month and then I switched to 20% and then 10%. I’ve taken thousands of dollars of specialized blogging classes and courses. Fun fact… I ignore any free information like eBooks, blog posts and anything where I haven't done my research on who is teaching and what their blogging business model is. Ignoring all of those and carefully choosing who I want to learn from eliminates all the “noise” pulling me in every direction, and gives me a clear path to follow. I highly suggest that everyone follow that path. There’s a few things that set EBA apart. The first is that it’s designed like a college course (only a college course that you’ll actually make money from unlike my political science degree, doh.). You will learn every single thing you need to know about blogging as a business. From the first very basic and easy steps to running a large successful blog and hiring people. You can create a very successful and lucrative blog based solely on what you will learn from Elite Blog Academy. She teaches in way that most people learn well from. I’m not trying to knock my own intelligence over here, but I need to learn things step-by-step. You can't throw theories and ideas at me and have me understand what I need to do. When I read books about blogging or took other courses, I walked away thinking that blogging as a business was a great idea but having no idea what I needed to do next to make that happen. Ruth Soukup (she created EBA) is AMAZING at this. She breaks the entire class down into action steps and assignment and that's exactly the way I took it. The best way I can describe her style of teaching is “Go do this, and then come back to me. Did you do it? Great! Now go do this, then come back to me”. While I was completing those steps, without even realizing it, I was growing a platform, an email list, my pageviews were sky rocketing and I started understanding what I was doing. One of the biggest compliments I can give EBA is that when I started it, I didn't even really understand how bloggers made money. When I graduated, I not only understood that but making good business decisions for myself were easy. I knew exactly what I needed to do in order to run the blog successfully and grow it bigger. I don't feel overwhelmed, I feel in control and excited. If you want to take the class, I don't think you'll regret it… You can sign up here. This is a tougher one. I wouldn't say you’re ever crazy, but this is a lot of money to spend on a whim. My biggest concern would be that you buy it and don't do the work, you end up hating blogging, or you end up not having enough time. I can tell you right away that you SHOULD NOT get the class if you don't have 10 hours a week to dedicate to blogging. Even if you swear you’ll have time in a few months, that usually doesn't happen. Look at your schedule now and figure out a way to fit in 10 hours a week. Almost every successful blogger has a few things in common: They love to write (even if its handwritten letters and email) and they love to give advice and help people. It’s going to help if you have a topic to write about that you’re really passionate about it and bonus points if your topic is something you excel at or you've overcome. 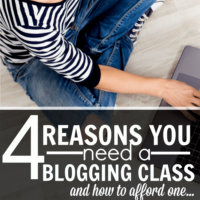 If all of that sounds like you PLUS you have 10 hours a week to dedicate to blogging (that 10 hours includes coursework and regular blogging) AND you understand that this will be tough in the first few months and get easier (and more profitable) as you grow AND you can afford the class, then I say get the class! I’m already blogging full time, is this for beginners? This is a complete blogging class, so it’s appropriate for almost every level of blogger. It teaches you everything from the very basic steps to the much more complicated steps of running a large successful blog. 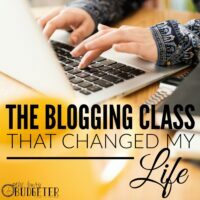 I actually planned to take the whole class over again (they added in a ton of new content since I took it in 2014), but then they announced that they would have an Elite Blog Academy VIP, which is an advanced coaching program for professional bloggers so I switched to that. She's basically teaching how to scale an already successful and lucrative blog up to a 7 figure business (which is what she runs). Keep in mind that everything I know about EBA VIP is through the grapevine… We won't know more until the cart officially opens. Your best bet is to join the waiting list for EBA updates here. Yes! You do need wordpress.org (which is different from wordpress.com!) and you need to be self hosted. I did that at the same time I started the class. It wasn't super fun, but we were able to do it ourselves and you can get hosting with the company I used for $3.95/month (Bluehost). You can find out more info about how to start a self hosted blog here. Don’t do the class in 12 weeks. The class is set up to be completed in 12 weeks. Unless you're blogging 40 hours a week (and if you ask me, that defeats the purpose of blogging), there’s no way you can complete the class in that amount of time. It took me 9 months to finish it. I don't care how tiny the assignment was or how much I thought I didn't need to do that step, I did it. In fact, one of the steps I really wanted to skip (finding a mastermind group) because it felt so overwhelming, led me to a group of girls that I consider to be my best friends now and have helped my business immensely. Focus on tasks to meet your goals. Concentrate your efforts on the things that bring you closer to your goals and blog a minimum of 10 hours a week. That’s 2 hours Monday- Friday (your lunch hour and an hour after the kids go to bed) or two evenings in the weekend. I can help you through that, because I’m sending you a bonus of the exact 30 minute time block system that I used for blogging 10 hours a week while running a day care of 4 kids and blogging at night. It was extremely effective! When you get your welcome letter for EBA, forward it to me and I'll send you your bonuses (including the time block system). The last thing is to get your family on board. You need two things- a cheerleader and a support person. (They can be the same person if needed). The secret to my motivation in blogging was being able to call my mom several times a week and yell “GUESS WHAT!!! I’m being quoted in the Penny Hoarder! !”, or “I just reached 5,000 Facebook fans!!”. The truth is, that most of your friends have no clue what blogging is and won't understand what your so excited about. Having one person that’s been there from the very beginning and remembers how excited I was when I had 10 Facebook fans, can really appreciate what 5,000 Facebook fans means to you. Being able to call my cheerleader kept me motivated and balanced out the struggles well. A spouse that can be your support system will be HUGELY beneficial to you, but it isn't a deal breaker. Talk to your husband, have him read my income reports if needed, and make him understand that for a few months you're going to be blogging a lot without seeing a ton of results, but that the end result will be SO WORTH IT! This was the toughest part for me. Jon's pretty supportive, but even he got sick of putting the kids to bed while I blogged. There was a few comments about spending all of my time on the computer, but once I was making full time income, that quickly switched to awe and gratefulness. At this point, he thinks I'm the wifely version of Bill Gates. Making $9,000/month from home working 20 hours a week is so worth the few arguments you’ll get into about not having enough time to do the dishes or put the kids to bed. Aughhh!!! I want to get this class and there is NO way that I can come up with the money in 5 days! Is there anything you can think of to make this possible? Yes! I just found out about this and am so excited! EBA is taking installment payments! If you can't afford $499 for the class, you can also make 12 payments of $49. You can find out more about that here! Are your results typical? Do many bloggers make over $9,000/month? It depends on your perspective, tons of bloggers make much, much more than me. I'm still the “little fish”. Even several from my EBA class make much more than me. 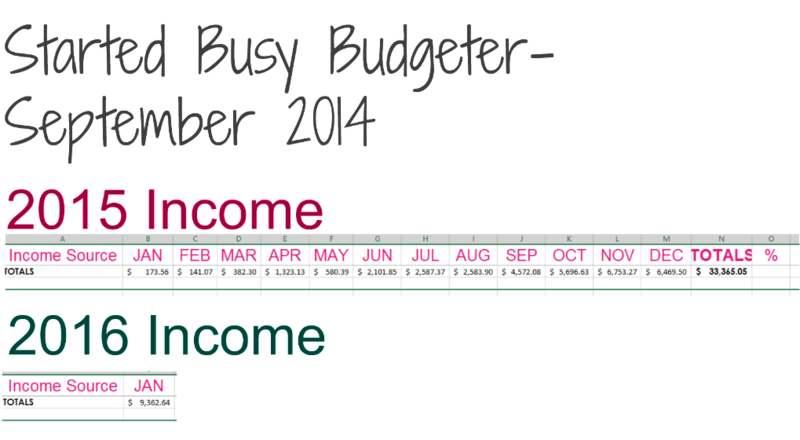 One of my favorite bloggers makes over $40,000/month blogging (she shares income reports here. She’s been blogging for several years now and is showing no signs of slowing down). Keep in mind that for everyone that decides to share their income reports, there are countless others that don't. I know tons of bloggers that are making full time income (meaning that blogging let them quit their jobs to work from home), most of whom I met in EBA (we’re a tight group). I would say that my results are exciting, but not very unique. I’m only unique in that I don't feel like I “own” my success. I know that Elite Blog Academy is what caused me to grow and I have no problem sharing that with others. I'm going to do everything I can to make Elite Blog Academy change your life the way it changed mine. Everyone that purchases EBA from this post, will get 3 bonuses from me. These were chosen to support you as you go along in your training. A link and invitation to a closed Facebook group that myself and several other full time bloggers from my Elite Blog Academy class have created. This is HUGE! It gives you instant access to several bloggers making full time income. Have a question? Wish you had someone who was making money at blogging to ask? Well, now you do! I’ll be in there, along with several other bloggers you will likely recognize. Just tag me with questions! My 10 hour/week blogging schedule. One of the things I get asked about all the time is how I grew so fast and only worked 10 hours a week. Well, I kept a time block schedule. I blogged about two hours a day and I concentrated on the things that would grow my income and pageviews and gave myself grace on everything else. I know this schedule works, because it worked for me. Just set a timer for 30 minutes, complete the task on the list, rest for 5 minutes and continue for 10 hours a week. This method works particularly well when you're a stay at home mom because you adapt it to naps, and free play time. The Ultimate Brand Cheat Sheet. It's my super detailed system for managing my sponsors. A template for my media kit, which you can edit to add your own logo and information to send to brands. If you know that you want to make your blog into a business with The Elite Blog Academy, don't procrastinate! 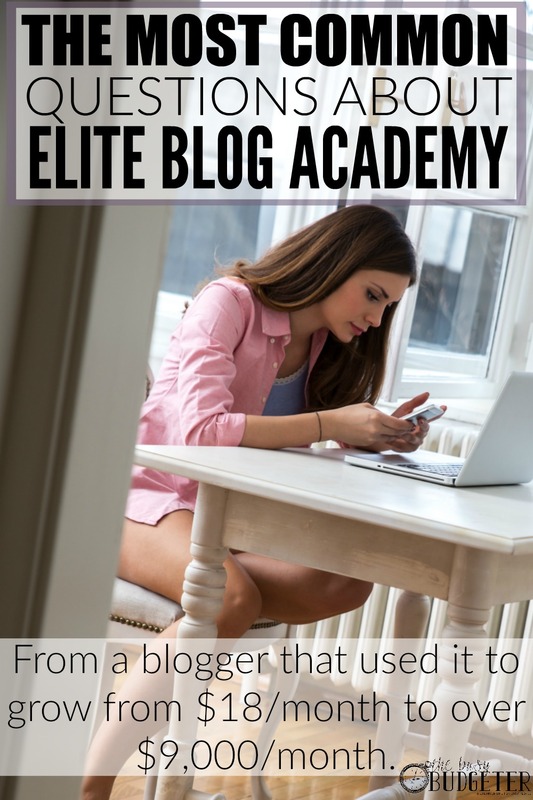 You can sign up for Elite Blog Academy here! Did I miss any questions about EBA? Just a concern about getting the mastermind group. What if I can’t form a mastermind? Would it be a major obstacle to success with EBA? The easy answer is no, it won’t be a major issue. But if you do the class my way (and I promise you you’ll thank me if you do), you need to do it. I really resisted. I’m not what you would call someone that loves to join things. I’m a loner obsessed with reading. But the mastermind group was a game changer. Please send me a link when it’s opened. It’s a lot of money but I will make an intuitive decision when its opened. Happily! Your income reports are such a huge inspiration! To those of you who just aren’t sure…go for it! Hi Crystal, I enrolled in EBA yesterday. Ruth highly encourages you to have a product and to brainstorm for ideas. The class is self-paced so you can take your time. Remember you have lifetime access too even when it gets updated and it will as most classes do. I did create a product in the class because I did every single step. But that being said, until this month (19 months later) I didn’t focus on products at ALL and am still making over $20,00/month blogging. So, I would say that you don’t need to make products unless you want to. I am going to use your link, thanks for the Bonuses! Thrilled to have you Kari Ann! I signed up for the course this week and I discovered your blog while browsing through the success stories. 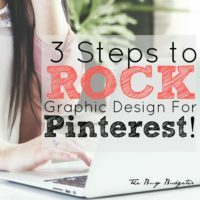 I love your blog and I wish I saw this post earlier as I would have signed up through the link. Looking forward to following your blog! Maria recently posted…Parent and Teacher Survival – Break Up Your Routine! I’m just glad you’re in Maria! YAY!!!! It’s life changing! Do you know how long enrollment will be open for? It’s a short window. Usually 5-7 days and it’s only available once a year! Ok, I did it! I signed up through your link. Excited and nervous! Yay Crystal! This is so exciting for you! It’s amazing! It changed my entire life! Love! Thanks so much! You are actually the reason I started blogging!